The first six months of 2014 saw the new car market rise 10.6 per cent over figures for 2013, according to the Society of Motor Manufacturers and Traders (SMMT). 1,287,265 new cars were registered in the year to July, resulting in the best year-to-date sales total since pre-recession 2005. The SMMT attributes the successful new car market to improved efficiency and lower new-car running costs. It’s also helped by affordable monthly deals. 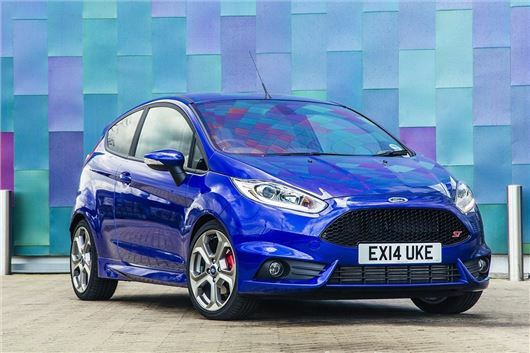 As in all previous months in 2014 the Ford Fiesta was the best selling car in June. Second place was the Vauxhall Corsa, followed by the Ford Focus and Volkswagen Golf. Mike Hawes, SMMT Chief Executive, said, "Improving economic conditions have helped propel the UK new car market to a strong first half-year performance, with registrations up 10.6 per cent on the same period in 2013. "Key to attracting consumers is the ever-improving efficiency of new cars, an important factor that is highlighted by the 51.3 per cent increase in alternatively-fuelled vehicle registrations so far this year. The overall market has risen faster than we were expecting but, after a bumper March, growth is showing signs of stabilising around our forecast level."